Thought I would share a few articles and interviews that talk about Asset Management and Multi-Vendor Service support. Lab Manager Magazine – The Evolving Service Model ; Good overview of service offerings from GE, Agilent, PE and Thermo Fisher. GEN – Lab-Asset Management Gets Smarter; older article (circa 2008) but shows that Asset Mgt within life sciences has been around for awhile. Most labs have used floor mount or bench top centrifuges for separation based assays for decades. Whether spinning samples to remove air bubbles, spinning down cellular debris or isolating supernatent, there are numerous manual access centrifuges on the market, but when it comes to automation, the choices are limited. 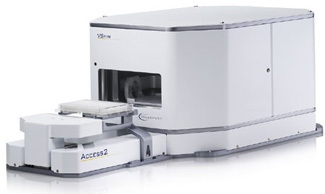 For a number of years, Agilent (formerly Velocity11) has offered the compact VSpin. 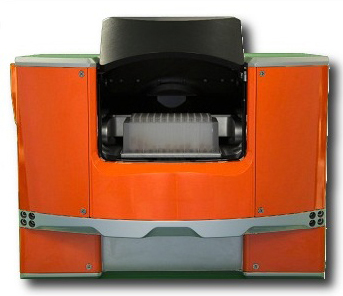 VSpin has a two position rotor with buckets for std microplates. It can spi n up to 300o rpm/ 1000g and has an automated door that allows direct access to plates using an offset robot gripper. Units can be stacked on top of each other for increased use of vertical workspace. The Optional Access2 loader can also grab the plate and present it externally to a liquid handler gripper or top loading plate mover like Twister2 or KiNEDx. Hettich also provides a larger unit called the Rotanta 460 which can accommodate 4 plates at speeds up to 6200prm, but is a bit more of a challenge to integrate as the robot gripper fingers need to reach into the unit from the top. I have seen this done with Mitsubishi and Staubli robots and Tecan actually integrates this unit under an EVO liquid handler accessible via an open locator in the deck. Sias’s Ixion is a compact unit, similar in size to the VSpin, however plate access (total of two) is through the top just like the Rotanta and can spin up to 2000rpm. This unit integrates nicely with Sias’ Xantus liquid handlers. 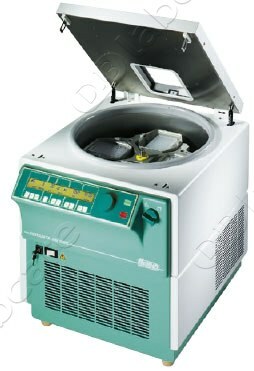 Finally, BioNex offers the HiG centrifuge which can also spin two plates. The bright orange color makes this unit hard to ignore…and a closer look shows that this unit may be the best of the bunch. With an automated lid that retracts from the top, the HiG does not need a plate loader like the VSpin as plates can be accessed by just about any robot gripper. At 5000g, BioNex claims this unit to be the fastest robot accessible centrifuge available. For better or worse, advances in cellular communications are making the once seemly impossible, trivial. Specifically, I am referring to video communication. Just about everyone has a ‘smartphone’ these days and it is hard to find a new phone that does not include a camera. The resolution of these cameras is incredible (the Apple iPhone 5 = 8 MegaPixels) and product stunningly clear videos and images. Video applications such as Apple’s FaceTime and Skype make face to face remote communications simple, fast and cheap. For service organizations, this has provided field based techs with an incredible tool for diagnosing instrument failures. There are even iPhone apps that now allow users to perform thermal imaging (how cool is that…no pun intended)! 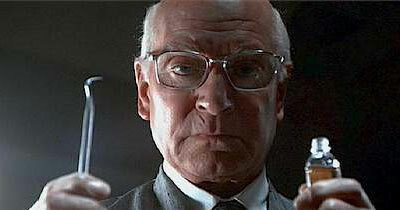 Let’s face it, the pressure these on-site techs feel when faced with a failed instrument can be enormous. End user anxiety and a ticking clock only add to the stress. The ability to ‘phone a friend’, point the phone at the instrument and have a real-time conversation about such failures brings an added dimension to peer review. On the wired side, I have visited many research labs that have added low-cost USB or Ethernet cameras to their automation systems that allow them to monitor status remotely (many times from home, over a weekend or at night). When combined with remote network access tools like PC Anywhere or LogMeIn, it is possible to deal with simple application errors and continue assays or applications that would otherwise had to wait for human to come into the lab and simple press a key. Remote observation in this fashion requires network access and must always include IT departments to prevent unauthorized access. Still, many labs will not allow non-employee cameras or video use within their labs. This is short-sighted (IMO), and unfortunate. I understand the competitive nature of pharmaceutical or biotech research and the commercial implications of potentially providing competitors with a glimpse of a labs inner workings, but let’s face it…it would take a pretty savvy bunch of people to gleam something worthwhile from a phone camera. Instrument failures that render an instrument ‘down’ are generally easier to diagnose and repair, however it the aberrant or irregular failures that could benefit immensely from remote observation. Unless an instrument or system is under a service contract it can be very expensive to pay for a service tech to sit and watch for a reported failure (they always happen when the tech leaves, right?). Most labs require non-disclosure agreements or safety training prior to granting non-employees access their labs and the time is well past to include the use of remote diagnostic tools, particularly cellular video in such protocols. Perhaps seeing is believing? What is the opposite of TMI? I am a big fan of Lab Manager Magazine. I am an on-line and print subscriber an d find it to be a great source of information regarding lab trends and support. Having said that…I was a bit disappointed by a recent “Ask The Expert” interview by Tanuja Koppal, PhD. It was called “Optimizing Lab Services: Evaluating the Single-Vendor Option.” You can read the full article by clicking here. Although there are some good insights there were some major pieces of information missing. For starters, it does not mention who the subject of the interview is. I will give Dr. Koppal the benefit of the doubt and assume the interviewee is not fictitious, but I have a hard time understanding why he/she would need to anonymized. 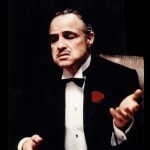 Is there an MVS Mafia out there that requires a witness protection program? Secondly, all the MVS providers whom the user evaluated are also anonymized. I guess I could understand that given that many of these larger providers may have legal teams that would give any crime syndicate a scare. In the spirit of peer review, I think it would be extremely helpful to both MVS providers and potential customers to know who this customer is and how they made the selection they did. While true in many facets of instrument support, there is one other tool which lab support techs will find invaluable – the digital tachometer. A more precise name would be a strobe tachometer, which neatly describes the basic theory of operation…a strobe light which is used to monitor the rotational speed of the rotor. The LW Scientific Hand-Held tachometer can be found at a variety of web stores for under $200. Interestingly, most separation assays call for acceleration of the sample not the rotational speed. From a repair or assay integrity perspective, checking RPM’s will suffice as a general method to determine that the instrument is performing as specified by the manufacturer. For those who are more curious, there is a great Wiki with more info. Manufacturer or third-party FSE’s re-calibrate the speed of a centrifuge by adjusting one or more potentiometers on the control board. Initial speed setting is typically done without a rotor in the unit. One last caution kids…speed kills. Let’s be careful out there. 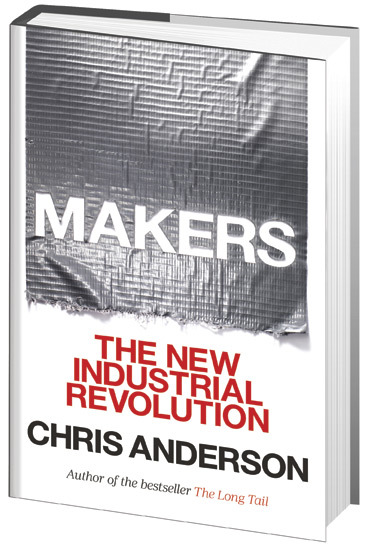 Just finished Chris Anderson’s (editor Wired Magazine) new book, “Makers The New Industrial Revolution.” In this book, Anderson does a great job of highlighting how the internet, 3D printing and crowd sourcing are enabling small batch manufacturing and prototyping. He ultimately predicts a resurgence in US-based manufacturing and a diminished need for venture capital so often required to create companies and bring products to market. Anyone who followed the recent investigation of the Boston Marathon bombing and the ensuing manhunt saw first-hand the power of the crowd. Tens of thousands of web-connected citizens poured over photos and videos that would have taken federal and local police agencies weeks or months. Within hours of releasing low quality photos, both suspects were identified and flushed out of the darkness. Similarly, an article from The Scientist recently posited the idea of crowd sourcing drug discovery. The thinking here is that waiting for new chemical entities to fail in Phase II studies is as unfair to patients as it is to the researchers who toil in redundant efforts. The brute force approach of high throughput screening did little to bring new drugs to market faster. Last year, a Harvard Med School student and budding entrepreneur named Shantanu Gaur started a group at Meetup.com in an attempt to create a drug discovery collective. His ethos is built around the mantra of replacing “publish or perish” with “share or despair.” For an industry that strives on peer review, overcoming IP issues that enable crowd thinking could provide the massively parallel efforts that will streamline understanding and treatment of diseases . None of this is new to lab instrument support. For a number of years now, users have been able to interact with each other as well as vendors and independent support organizations via forums such as LRIG and LabWrench. Users share similar experiences as hints and tips come from current or past employees of instrument manufacturers. Some manufacturers have even created user forums to help support their products. Still, a fair amount of knowledge about instruments is proprietary and closely protected by manufacturers. This is understandable as many of these companies rely upon post-sales support revenue as an important component of their balance sheets. The one thing missing from breaking this logjam is a more formal unification of the user community. The power of the crowd lies within the sheer number of end-users for lab instruments. Figure out a way for all users to speak with one voice and the leverage of the crowd will move the way instruments are supported. 1) Contact Person – all visitors should have the phone and email info for an employee who has been through a company approved safety training program. Visitors should be required to seek out this person for any concerns they have prior to conducting their wor k, or in the event of an emergency. Also, make sure you have the techs emergency contact (work and personal) info in the event that person requires medical attention. 2) Disclosure – Make sure you inform the tech of any biological or chemical hazards regarding the instruments. Point out instrument decontamination certificates and give direction on how to dispose of wastes (chem wipes, q-tips, wear items, gloves, lab coats). Also let them know your protocols for dealing with reagent spills or exposure. 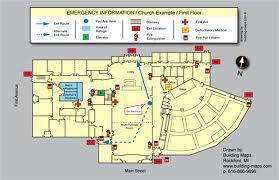 3) Evacuation Instructions – Let the tech know how to exit the building in the event of an emergency. In addition to typical lab accidents, in today’s world that could also include fire alarms, terrorist attacks, workplace violence). Point out any per-determined ‘rally point’ once out of the building. Also, let them know how to re-enter the building or sign out if they do not return so they can be accounted for. 4) Facilities Support – Never let a visiting tech hard wire equipment to your facilities electrical junction boxes. If such a need arises, have your own knowledgeable facility personnel on hand to disconnect power and supervise all work. 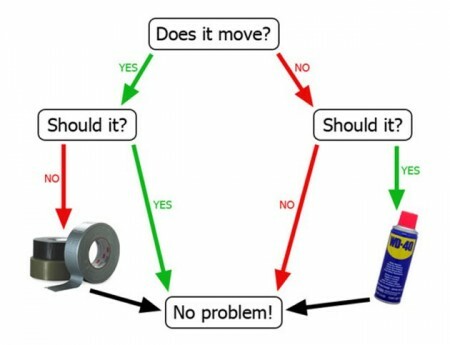 Same goes for plumbing high pressure air lines or water lines. 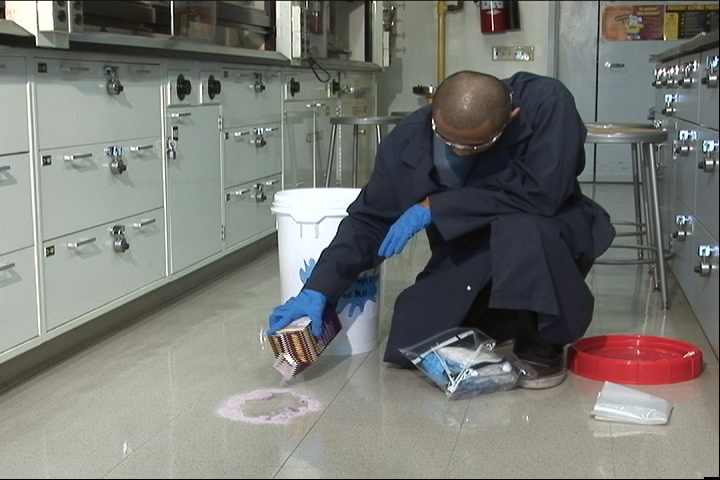 5) Basic Safety Training – make sure the tech has received basic lab safety training from their employer. Ask in advance for them to bring a certificate of such training, specific to the visiting tech.